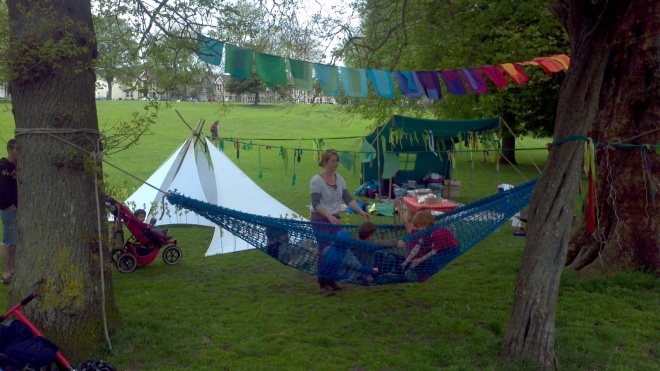 We want to bring the fantastic APE Project to Horfield Common so children, young people and the community can enjoy even more of the Great Outdoors! The APE Project delivers free weekly two-hour Stay & Play sessions during term time aimed at 8 - 13 year olds on Horfield Common - although any children of school age are welcome and can positively engage! Children are free to chose their activities and can come and go as they please! We want them back on Horfield Common providing this amazing outdoor play opportunity for local children and young people. Please support our fundraising campaign to help us achieve this! The total cost of this provision for 1 year is £10k (our target includes service fees and additional costs). If 50 local families come along to the unique VIP day experience on offer - we will have done it. If 200 sponsor the project with £50.00 - their children will benefit from a whole year's worth of engaging outdoor and physical play activity - and enjoy a lovely pic of them enjoying it to treasure! Last year, between 30-40 local young people were regularly attending the weekly APE Project sessions on Horfield Common! This provision offers amazing value for money - please support our efforts to raise the funding to deliver it! APE Project CIC is a non profit organisation that runs innovative and creative workshops for children and young people, with a strong focus on environmental sustainability. Art, Play and Environment are the three key threads to APE Project's work which focuses on children, young people and their families. APE Project encourages families and carers to get involved with the development and running of the sessions. Not only does this build a stronger, safer community but it also builds the confidence and skills of families and carers as individuals. The team of Rangers are trained in Playwork as well as Level 1 & 3 Forest School leadership. 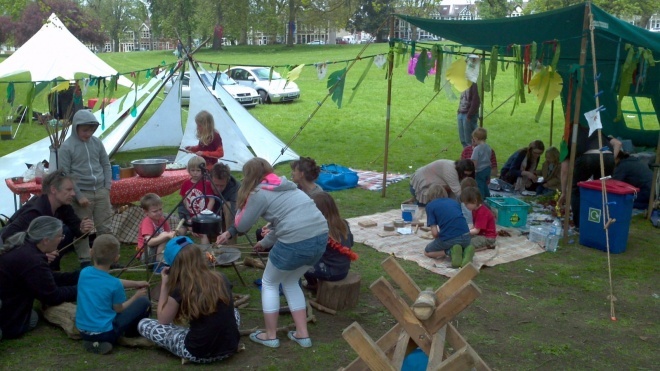 The focus is on positive, healthy outdoor play including (but not limited to) Forest School skills, pedal powered activities, bicycle activities, woodwork, metal work, tool making, co-operative group games, art and crafts, imaginative play, den building and cooking on fires. Limited Edition Artist-Designed child's T-shirt: "The Horfield Common GREAT APE PROJECT!" APE Project Forest Skills Workshop for Grown-Ups! Come along and find out what your children are raving about! For a donation of £100.00 you will be invited to enjoy a unique APE Project session aimed squarely at the grown-ups! 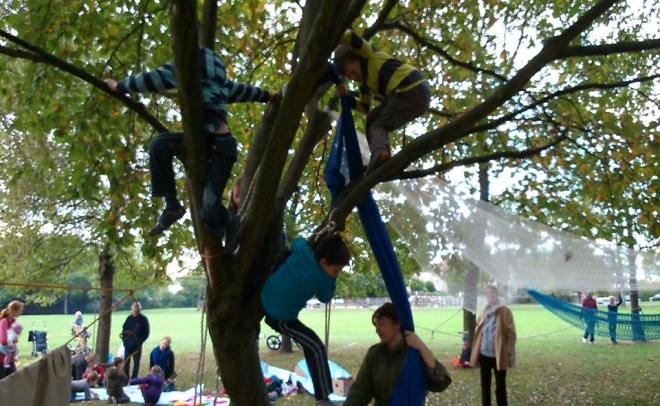 APE Project has years of experience in delivering adventurous outdoor play activities in and around Bristol, promoting risky play such as tree climbing and fire craft! You'll spend time as a family in the fantastic APE Project play space built up using hammocks, ropes, climbing equipment, swings, tyres and obstacles in trees - a fun way to get some physical activity increase motor skills, balance and teamwork.. Then you'll work together to make, cook and enjoy an outdoor meal!